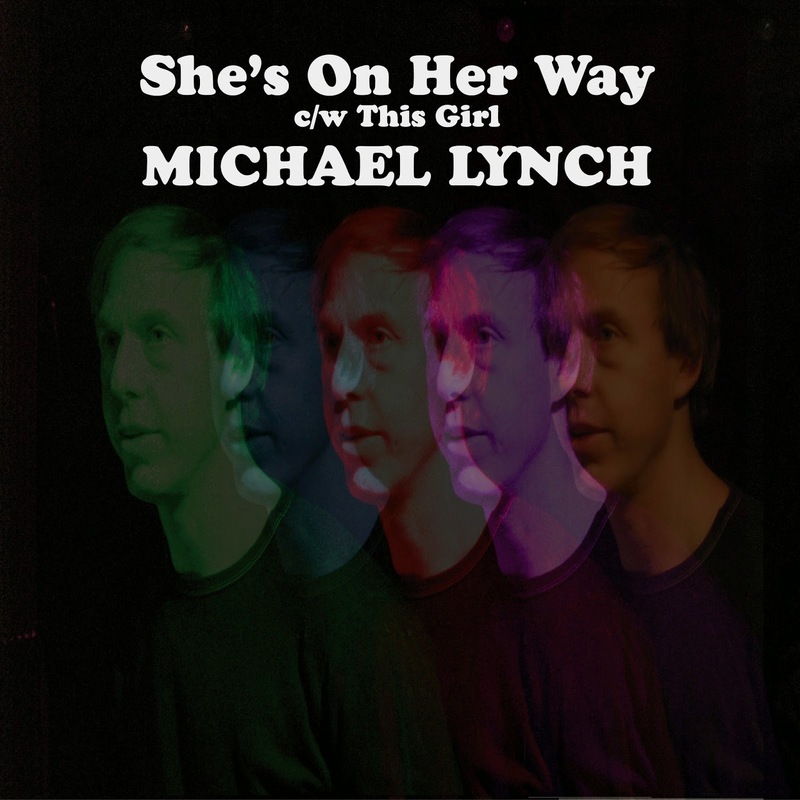 The fourth 45rpm single on Market Square comes from New York based Singer-Songwriter Michael Lynch who provides two great pop songs for this his debut 45 release. Michael has been a mainstay on the New York gig circuit for a long time and has worked in various guises over the years, he has also appeared in many different groups whether just playing a number of instruments for others or producing them, all in all, Michael Lynch is a super talented guy and I am proud to be releasing a 45 for him on Market Square. The A-side 'She's On Her Way' is an early Beatles styled melodic pop tune, superbly catchy and real short clocking in at just over 1 minute 50 seconds, Lynch soars through chord progressions whilst the song ebbs and flows with rich sounding drum fills and neat vocal harmonies sung over even neater vocal melodies... this is one which could've come straight outta the Brill Building in 1965, the song also hints towards Sunshine Pop groups such as The Yellow Balloon and The Ohio Express, fans of that kinda 60s pop can't fail with this. The B-side This Girl' is a fantastic song, written in a moody jangle pop style, the song is the perfect three minute pop song, a universal theme which we can all relate with sung with great emotion from Michael, 'This Girl' like the top-side, is complimented by great musicianship and harmonies, a fantastic song making this a great pop two-sider.